Do you post to Bulgaria? If so, what would the price be for the postage? Unfortunately, we only delivers to countries within the UK. How do I change the ink cartridge in my HP F390 Deskjet printer? Whether it's business documents or homework, the HP F390 pulls through with excellent quality printouts. One of these days your HP F390 will run out of printer ink, and when that happens you'll soon come to realise that replacement HP F390 ink can be costly. Thankfully, however, you have no reason to lose any sleep about coughing up the steep asking prices you'll uncover on the main street because now at Cartridge Save you can order all the HP F 390 cartridges you will need at really low prices. Spend less money on your ink by buying online at Cartridge Save! There's no sense at all in spending so much on the F-390 original cartridge or F390 compatible ink in the high street when it's easy to save a pile of money ordering with Cartridge Save. You get one hundred per cent satisfaction when buying DeskJet F390 ink cartridges from us because they are covered by a straight forward money back guarantee. Don't forget that each and every purchase comes with free delivery, generally arriving the very next business day! A good choice for home users, the HP Deskjet F390 provides the same versatility as other more advanced MFPs, minus the fax and networking capabilities. It prints documents, graphics, and photos, scans at high resolutions, and copies at fast rates, making it a worthwhile purchase for home office use. The HP Deskjet F390's limited monthly duty cycle, however, makes this quite unreliable for high-volume users. The design of the HP Deskjet F390 is pretty much the same as other F300 models. It comes in a white and grey finish, with the flatbed scanner on top and the paper tray in front. 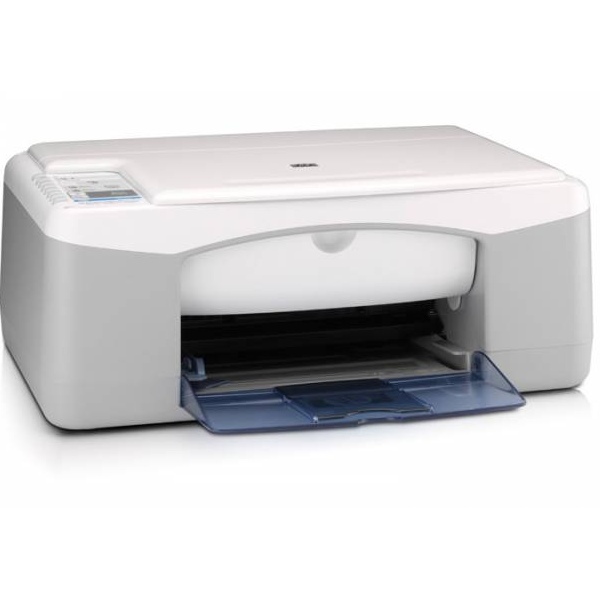 Though the HP Deskjet F390 has a port for PictBridge cameras, it does not have a screen from which to view photos, which means you still need your PC to select which items should be printed out. Quality prints are guaranteed with the HP Deskjet F390, which boasts a resolution of 4800x1200 dpi. It is capable of handling many different kinds of media, including envelopes and labels as well as larger papers like photo paper, greeting cards, and even transparencies and iron-on transfers. The copier allows enlargements of up to 400% and offers 'fit-to page' options. The HP Deskjet F390 lacks networking capabilities and does not support wireless connectivity. The copier does not have an automatic document feeder, and the control panel is not equipped with a screen (only LED indicators).